Today was a beautiful day for the end of November. We had a high of 60F and northeast winds between 5 and 8 mph. We haven’t heard much today. Around Frisco Pier this morning there were some black drum and sheepshead. This afternoon there were a few speckled trout. 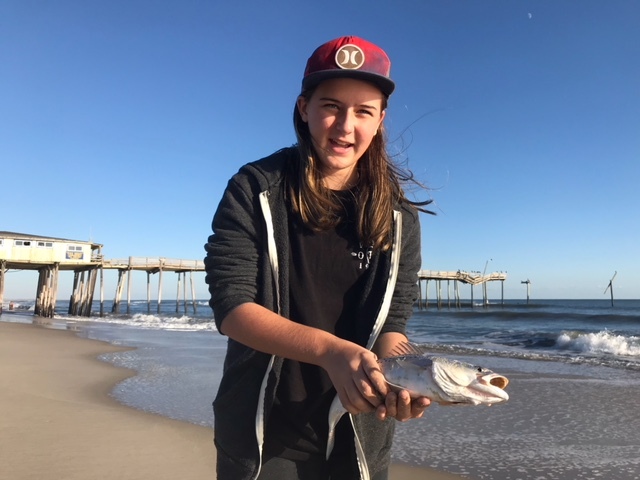 Pictured below is Kenzey Pullen with a trout caught at the Pier. 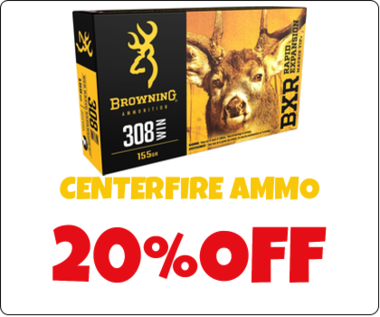 Standard but by no means ordinary, these are available for most popular rifle calibers. 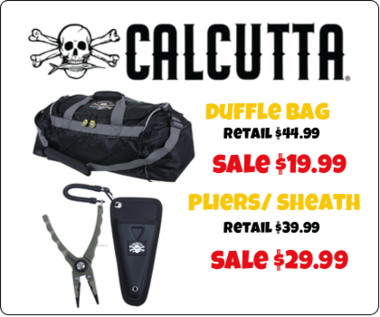 Kits include: machined aluminum cleaning rod with swiveling hand grip, Gunslick Nitro Solvent, gun oil, cleaning patches, phosphor bronze bore brush, slotted and jagged tips, and complete instructions. Neatly packed in a sturdy plastic case. Today we had sunny skies. The winds were from the north-east at 5-10 mph and the temperatures were in the low 60’s. Up on the Avon and Buxton beaches bluefish, sea mullet and puppy drum were caught. Over on the Frisco beach puppy drum, sea mullet and some small bluefish were caught. The inshore boats had limits of puppy drum and some black drum in the Pamlico Sound today. The offshore boats had good black fin tuna action and a few yellow fin tuna bites today. Today we had calm winds and sunny skies. The winds were from the north-east at 5-10 mph and the temperatures were in the mid 50’s. 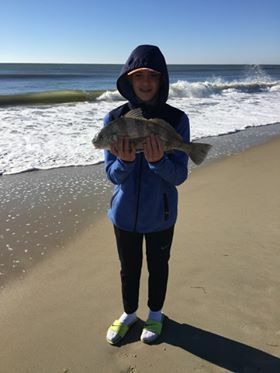 Up on the Avon and Buxton beaches a few bluefish and puppy drum were caught. Over on the Frisco beach some nice puppy drum and a 28 in and 39 in red drum were caught. Black drum and a few sea mullet were also caught. Today we had mostly sunny skies with light winds. The winds were from the north-east at 5 mph and the temperatures were in the mid 60’s. Good fishing from the beaches today. Up on the Avon and Buxton beach puppy drum, bluefish, black drum and blow toads were caught. 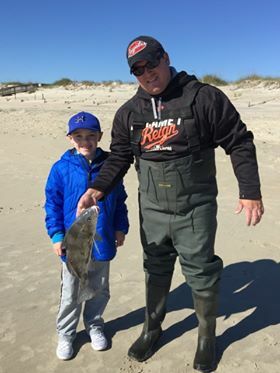 Over on the Frisco beach small bluefish, some citation sea mullet, lots of black drum and puppy drum and a few speckled trout were reported. Down on the Hatteras beach puppy drum, sea mullet, bluefish and black drum were caught. The inshore boats caught lots of speckled trout and puppy drum in the Pamlico Sound today. The offshore boats had real good fishing today with limits of king mackerel and trigger fish and some nice black fin tuna being caught. Today was on the cool side, with some northwest winds this morning blowing between 7-16 mph, then switched to the northeast right before lunch and blew between around 5 mph. Today was a decent day of fishing. Avon is reporting puppy drum, sea mullet and speckled trout. Buxton had reports of puppy drum, black drum and bluefish. Frisco had puppy drum, speckled trout, and sea mullet. Hatteras had black drum, speckled trout, puppy drum and sea mullet. 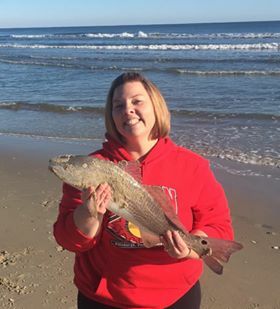 Beth Brown 27″ puppy drum caught in Hatteras. Nice one!! Grant and Gavin Stevens caught these black drum in Hatteras today. 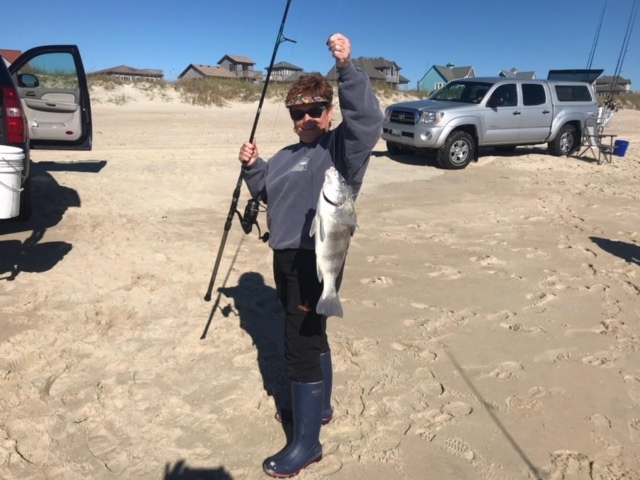 Linda Jeffers caught this black drum in Hatteras also. The inshore boats are gearing up for duck hunting, so no inshore reports for today. A few offshore boats ventured out. They made their way back to the dock with catches of blackfin and yellowfin tuna, a few wahoo and albacore. It was a warm, windy, rainy start to the day. The winds were out of the west-north-west this afternoon and blowing around 10-15 mph with higher gust. Avon is reporting speckled trout and puppy drum. Buxton had catches of red drum, bluefish and black drum. Here in Frisco there were catches of black drum and flounder. In Hatteras there were some sea mullet caught. There were no inshore or offshore boats out today. These gloves will keep your hands nice and warm while you fish.